‘Religion’ and ‘Spirituality’ are terms of a binomial that is at the core of recent debates in the field of religious studies. Their relation is variably understood either as opposition or complementarity. In the first instance, according to the formula ‘spiritual but not religious’ used by those who cultivate a personal relationship with the transcendent beyond institutionalized religions. In the latter one, spirituality expresses the subjective dimension of religion. Both these definitions emphasize lived experience, and especially a sacred that permeates everyday practices, close to the body, to sensory perception and to the agency of the person in transition between multiple secular spheres of society. In order to delve into this field, we invite contributions grounded in ethnographic research focussing upon the relationship between religion and spirituality in the social contexts of everyday life, and that stress a methodological reflection upon the status of ethnography in the study of lived religion and spirituality. Therapeutic itineraries often unfold across different approaches to wellbeing posing new challenges to patients, healers and medical professionals. This panel explores the entanglements of spirituality and biomedicine in people’s experiences of healing, specifically asking: how do people make sense of and use different epistemologies of illness and healing in their therapeutic itinerary? How to they either draw, shift, or cross the boundaries between spiritual and medical approaches? How do they understand and apply notions of ‘efficacy’ and ‘evidence’ in their therapeutic experiences? How they deal with the power relations between the different approaches? How do they consider the relationships of negotiation and processes of decision implicated? Researching these experiences, contexts and itineraries, demands that also ethnographers address particular methodological challenges. How could ethnographic knowledge approach the tension between different epistemologies of healing coexisting in people’s experiences? 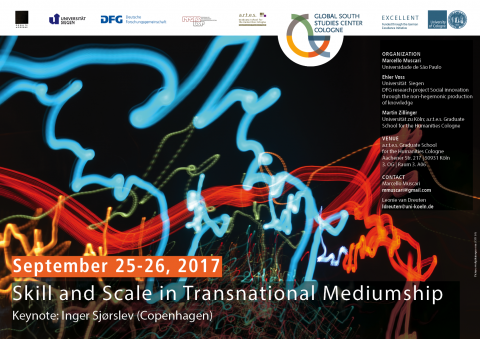 What kinds of methodological and ethical challenges arise in the ethnographic encounter with people in, or moving between, the fields of spirituality and biomedicine? 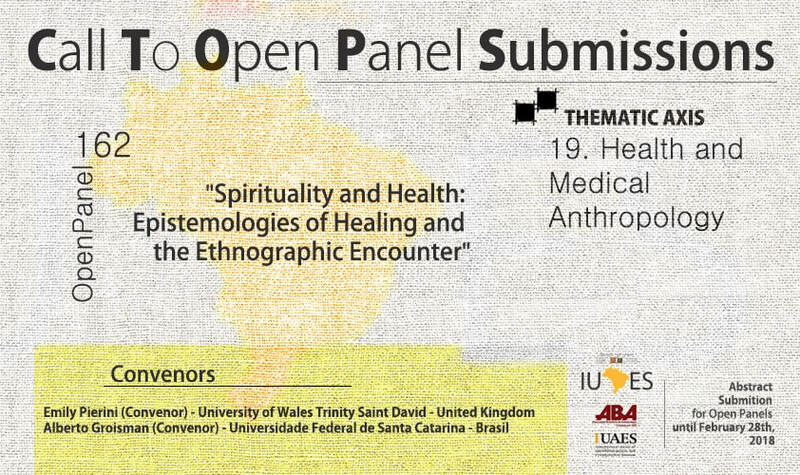 We invite papers discussing ethnographic research in groups practising spiritual healing, among patients following both biomedical and spiritual therapeutic itineraries, and health professionals using conventional and non-conventional therapeutic approaches to healing. Please, circulate this to those who might be interested. Itako Doc Trailer from Itako Doc on Vimeo. Itako are japanese shamans, known to be mostly blind. “Itako::Visions” is a journey across the subject of death and mourning, through the rituals and practices developed and mastered by itako. Before the encounter with shamanism, it is important to acknowledge the background in which itako work, within the peculiar japanese landscape and in particular the buddhist approach to death with its specific images of the afterlife. Beginning with the 2011 catastrophe, the earthquake and the tsunami that hit Northeastern Japan – where itako dwell – we deal with the death of a community, and the tragic loss of a child. We wonder what lead people now, in the XXI century, to look out for the help of a shaman. What kind of assistance can this type of medium actually offer? We then meet itako, we come to better know them, We try to talk about the future of this type of shamanism with the youngest among them, and with one of her clients. We will then have a clearer context of the human fragility in the face of death, and how ineffective will result materialism when dealing with the spiritual needs. Extra Shooting: Emanuele Satolli, Iwate Prefecture Noda Village, Tohoku Regional Bureau, Ministry of Land, Infrastructure and Turism. Damned Facts: Fortean Essays on Religion, Folklore and the Paranormal is a collection of essays adopting a variety of 'Fortean' approaches to the study of religion, folklore and the paranormal. Over the course of four ground-breaking books published between 1919-1932, Charles Fort gathered thousands of accounts of weird events and experiences that seemed to upset the established models of mainstream science and religion. In order to explore these events Fort developed the philosophy of Intermediatism, whereby all phenomena (from the most mundane to the most extraordinary), are understood to partake of a quasi-existence, neither real nor unreal. It is from this indeterminate vantage point that the chapters in this book begin their investigations. This Special Issue examines the construction of ethnographic knowledge in researching among participants of religious and spiritual groups through the lenses of bodily experience. Articles discuss the methodological implications of engaging the scholarly body in the field and the ways in which to convey these experiences through ethnography, by addressing the empirical, ethical, epistemological, relational, political and analytical implications of this significant aspect of fieldwork. Authors are particularly concerned with religious and spiritual groups whose practices imply the use of techniques, resources, plants, substances and other strategies used in religious contexts to modify the states of consciousness. They ask specifically how does the researcher's experience in researching among these groups inform the production of ethnographic knowledge? In which way does it redefine our analytical categories, and even the way we approach the experiences of participants in these groups? Up to which extent do our interlocutors expect us to know about their experiences and practices? Assessing critically their own experiences and their implications, they raise issues associated with contemporary debates around concepts of 'knowledge' and 'belief', 'body', 'self' and 'personhood', 'health' and 'illness' in religious contexts. 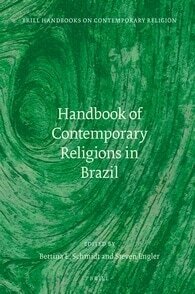 The Brill Handbook of Contemporary Religions in Brazil provides an unprecedented overview of Brazil’s religious landscape. It offers a full, balanced and contextualized portrait of contemporary religions in Brazil, bringing together leading scholars from both Brazil and abroad, drawing on both fieldwork and detailed reviews of the literatures. For the first time a single volume offers overviews by leading scholars of the full range of Brazilian religions, alongside more theoretically oriented discussions of relevant religious and culture themes. This Handbook’s three sections present specific religions and groups of traditions, Brazilian religions in the diaspora, and issues in Brazilian religions (e.g., women, possession, politics, race and material culture). Contributors: Ênio Brito, Fernando Giobellina Brumana, John Burdick, Leonildo Silveira Campos, Stefania Capone, Cristina Maria de Castro, Graciela Chamorro, R. Andrew Chesnut, Daniel Clark, Andrew Dawson, Steven Engler, Silas Guerriero, Kelly E. Hayes, Andreas Hofbauer, Artur Cesar Isaia, David Clark Knowlton, Ricardo Mariano, Paula Montero, Mark Münzel, Ari Pedro Oro, Emily Pierini, Paulo Barrera Rivera, Cristina Rocha, Roger Sansi, Clara Saraiva, Bettina E. Schmidt, Rafael Shoji, Vagner Gonçalves da Silva, Carlos Alberto Steil, Marta F. Topel, Frank Usarski, and Gillian Watt. A rich and welcome addition to the literature which has something for anyone with a serious interest in this area of investigation. Quote the code Experience and receive 25% off the retail price when ordering from the book page.